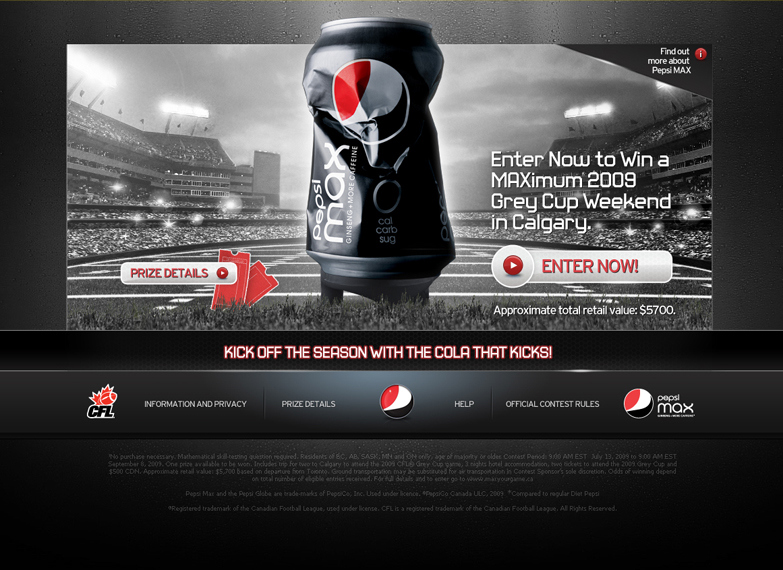 Pepsi wanted to kick off the 2009 CFL season with a chance for fans to win tickets to the Grey Cup in Calgary, with also helping promote their Pepsi Max brand. 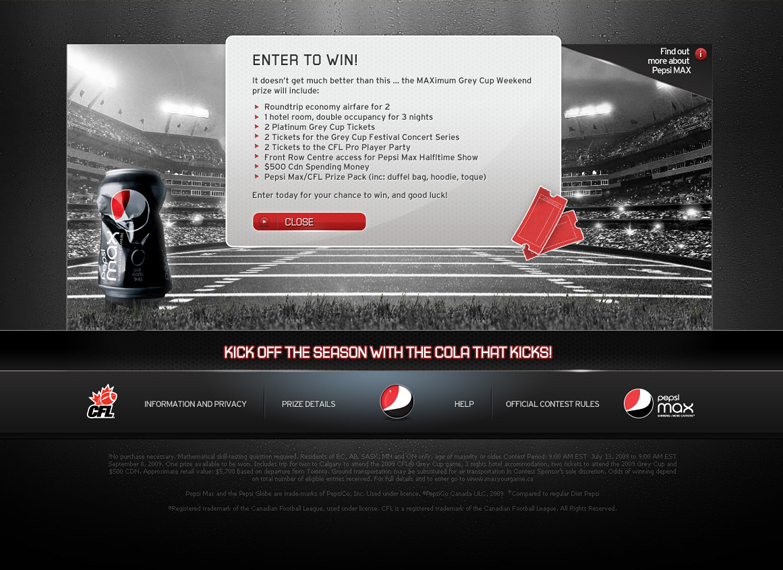 Pepsi wanted to kick off the 2009 CFL season with a chance for fans to win tickets to the Grey Cup in Calgary, with also helping promote their Pepsi Max brand. I originally started using a lot of black and white, with very subtle use of blue and a lot of red and eventually, after working with the client's brand manager, ended up with a high contrast black and white with a focus on the bold use of red. Users could login using their Connect ID credentials and play for a chance to win. I had met a very aggressive timeline for this project and we met the deadline, surpassing expectations. The promotion was an overall success.